A Reticle is a specific type of photomask, containing one or many images that will make up the final device. Typically the original design is “Scaled Up” on the reticle, typically by a factor of 1X, 2X, 2.5X, 4X, 5X, 10X. 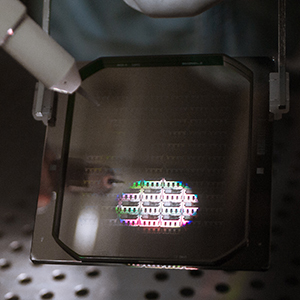 These reticles are then used in wafer lithography “Step and Repeat” or “Scanner” systems where the image on the reticle is reduced through the system’s lens optics and exposed onto the wafer substrate multiple times to build up the full array of devices covering the wafer. 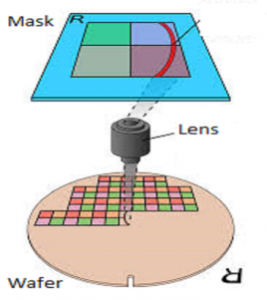 This process known as “reduction” allows much smaller features to be achieved on the wafer than on the original reticle, however, this also means any Mask Error Factors (MEF) e.g linewidth, position, defects are also reduced by the same magnification. Early reticles were designed for exposure at G-Line (436nm) and I-Line (365nm) more typically used in Step and Repeat systems. As the demand for smaller and smaller feature sizes increased then so did the need for shorter wavelengths sources with KrF DUV (248nm) introduced to some Stepper and Scanner systems and ArF DUV (193nm) for advanced scanners. 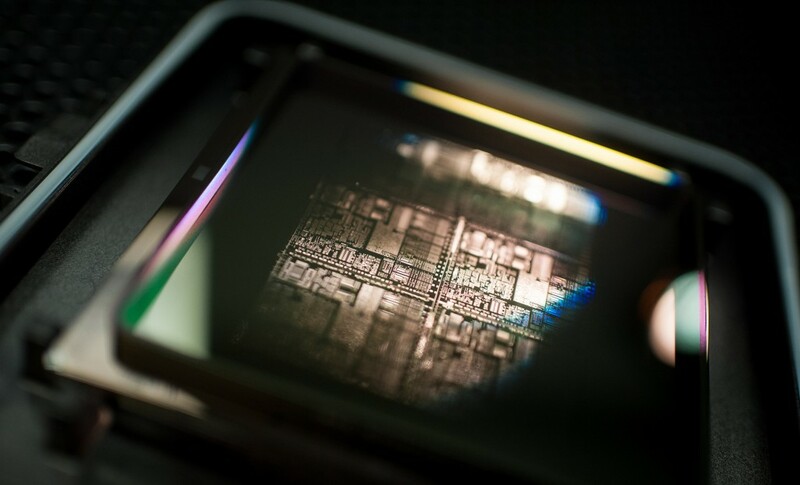 Other “optical tricks” known as Reticle Enhancement Techniques (RET) such as Optical Proximity Correction (OPC) and Phase Shift Masks (PSM), can help to print features smaller than the wavelength of light and help to extend Moore’s Law into sub-wavelength lithography. Compugraphics has been building reticles since our first inception and possess vast experience in manufacturing reticles for all of the major wafer photolithographic systems such as ASML, Nikon, Canon, Ultratech, the list goes on. We hold the necessary Library of files required for all of the Coarse and Fine Alignment marks for nearly every Manufacturer and Model of Stepper and Scanners used in the industry. If you need any reticle from the most basic G-Line Step and Repeat through to the most Advanced 193nm Scanner, then you can be assured Compugraphics have the ability to meet your requirements. It is standard practice to attach a “Pellicle” to stepper reticles, to protect the surface from any loose/airborne particles. Pellicles come in all sorts of shapes and dimensions depending on the lithography manufacturer, system and model. Fortunately Compugraphics stocks most common pellicle types so just ask. Compugraphics was the first merchant mask maker in Europe? We have since shipped over 250,000 Reticles.